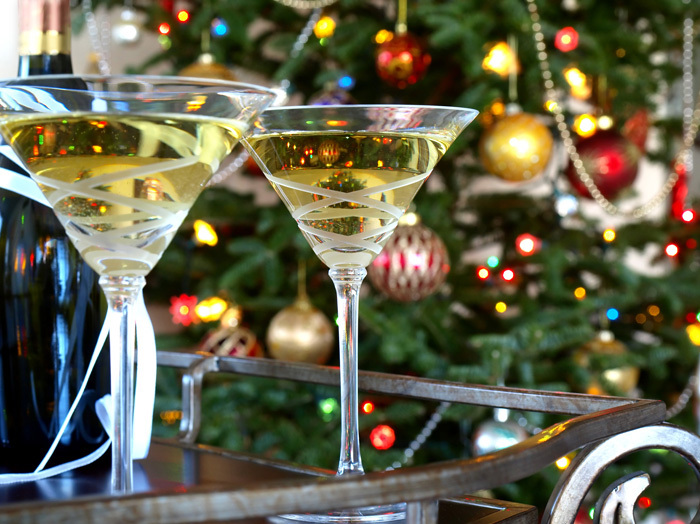 Seeing friends and family, eating delicious food, and attending marvelous parties are just a few of the exciting things that the holiday season brings. However, the most wonderful time of the year can easily make you stray from your diet and workout plans. 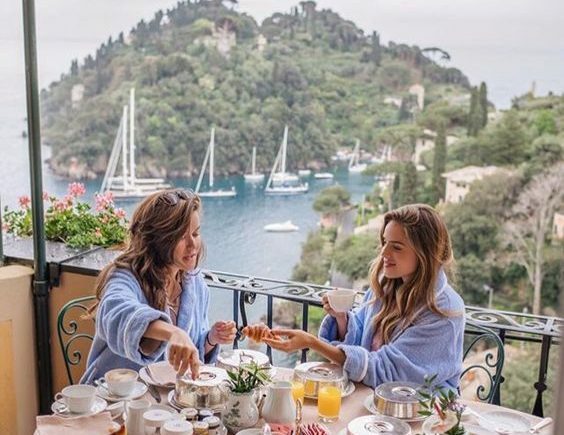 Here at KF, we know how hard it is to stick to low-cal meals and cocktails when there are so many tempting dishes and spirits around. But, don’t fret! 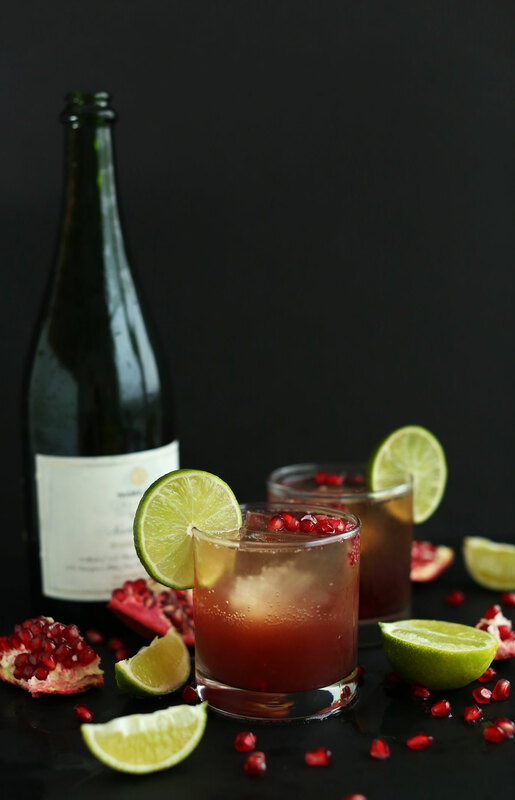 We are all guilty of indulging ourselves when it comes to the holidays, and we are here to say a little bit never hurt, but if you wanna indulge guilt-free, we’ve got some of the most delish skinny cocktail and app recipes that are sure to be a hit with you and your body this season! 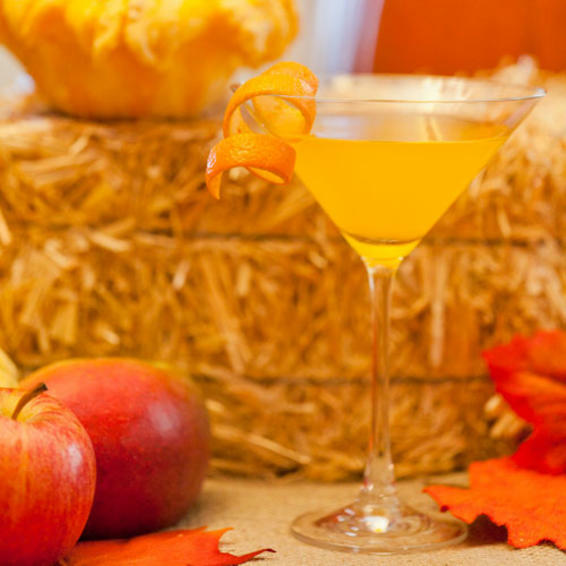 This festive martini is 120 calories and is sure to put you in a Thanksgiving mood. Shake and strain into your fave martini glass and serve with an orange peel as a garnish for a fabulous and impressive cocktail. If you are interested in more recipes using ICE Sparkling drinks look here. 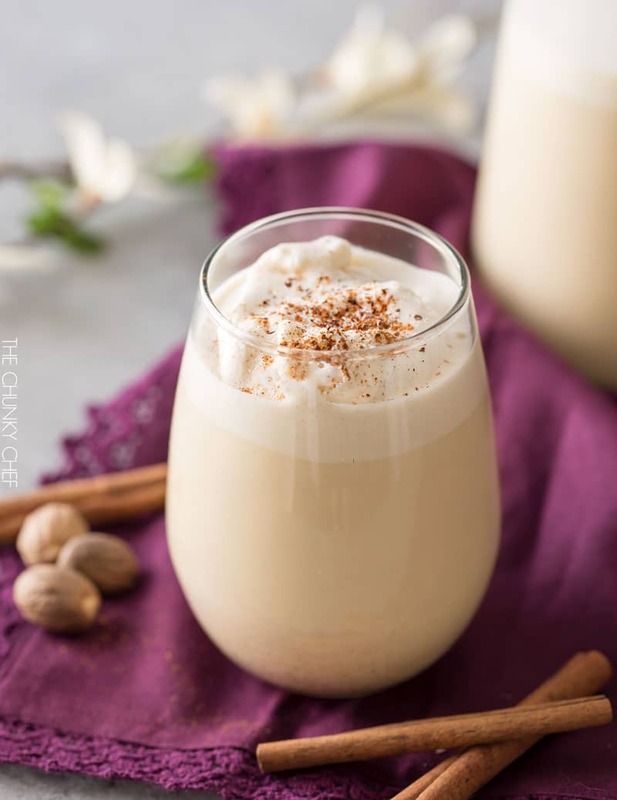 Normal eggnog recipes can easily be over 400 calories for one serving! This light eggnog recipe is only 148 calories and tastes just like the real thing. This recipe uses low-fat milk, a little less liquor, and is homemade so you can control everything going into your drink! Knowing the source of your food is definitely key to a truly healthy diet. 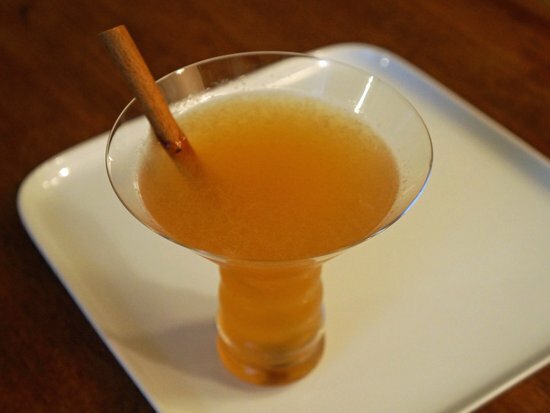 This sweet and tart cocktail has a spicy kick of cinnamon for the perfect holiday cocktail. It uses all light, low-calorie ingredients so there are no unnecessary added sugars. 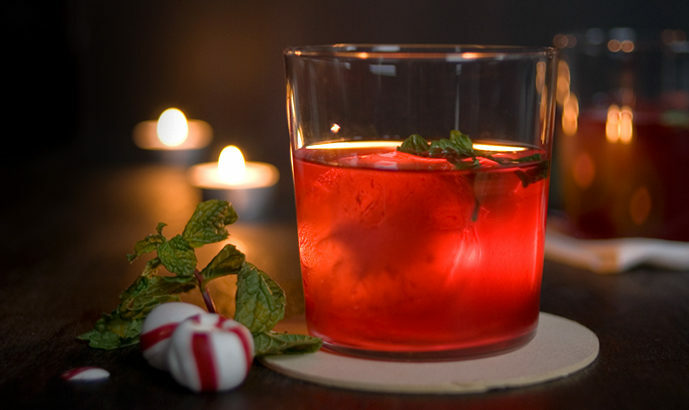 This festive twist on a classic cocktail is sure to take care of your cocktail and holiday candy cravings. With only 70 calories and 7 grams of sugar, it’s delicious and won’t make you feel like you need to run a marathon the next morning to burn off unneeded calories! This 5 ingredient maragarita is only 196 calories and is the most fabulous holiday take on a flavored maragarita. 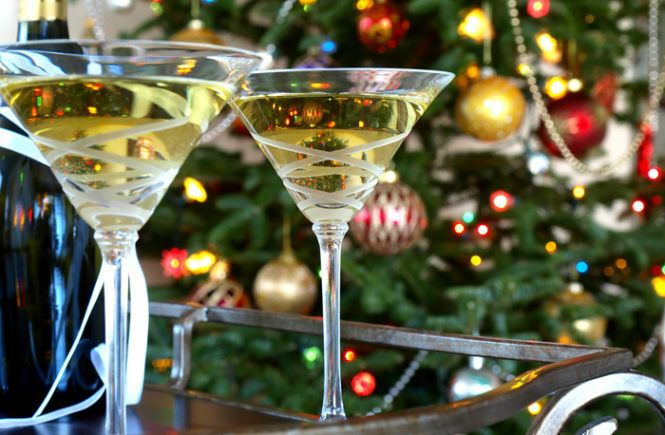 Tequila and sparkling wine make it delicious and fizzy, and maybe the perfect holiday libation. To learn more about the recipe and how to mix it to perfection look here. KF’s edited skinny appetizer options are here so you can eat, drink, and be merry! We scoured for the best of the best and brought you delicous options to delight your senses and make sure you keep within your diet plan this holiday season. 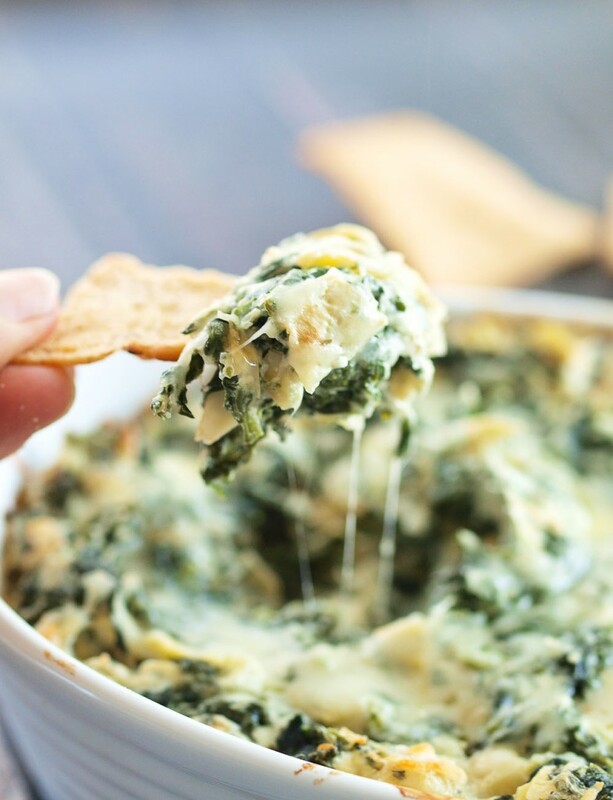 This dip is perfect for a holiday party, or just to enjoy with your family while watching a holiday movie. The alternative ingredient that makes this dip healthier is greek yogurt. Used as a substitute for what would usually be mayonnaise or sour cream, the yogurt ups the health quotient of this dish. Delicious, so good for you, and Yuuuuuum! 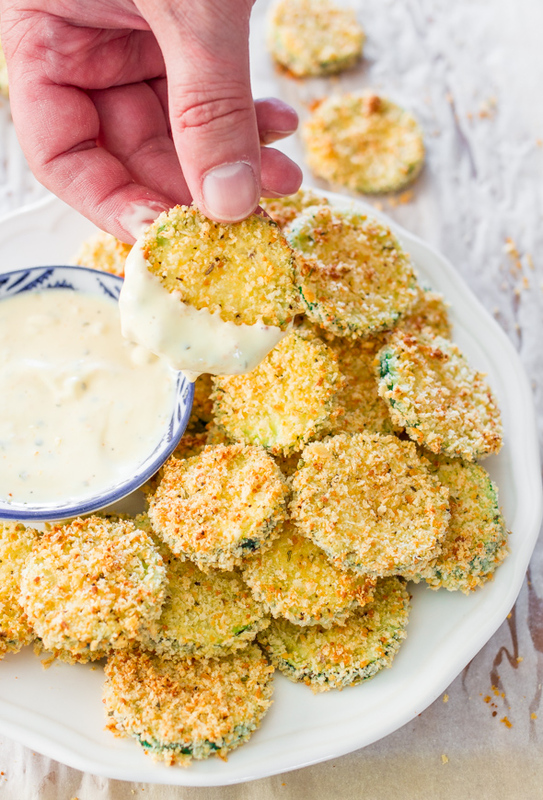 Baked parmesan zucchini bites are perfect if you are craving something crispy but don’t want to ruin your diet. They take less than an hour to make, and you can indulge in them guilt-free because a serving is only 186 calories. So Good! 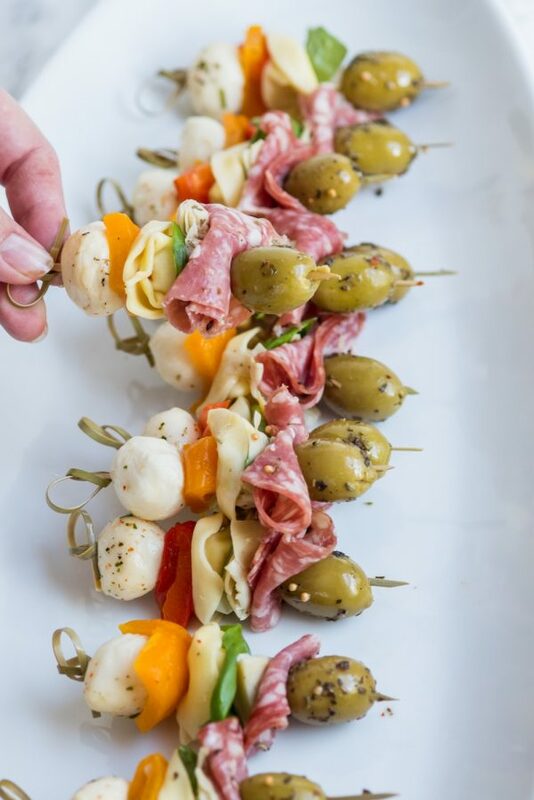 Loaded with mozzarella, roasted peppers, salami and olives, these skewers are healthy AND satisfying. With their multitude of flavors, you won’t be bored while you are enjoying them. You can also personalize them however you and your family like, make them vegetarian, add more meat or accent with different vegetables. See how to make them here..